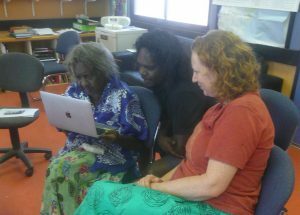 It was wonderful being in Katherine again, sharing the Living Archive of Aboriginal Languages with friends, family and old acquaintances. 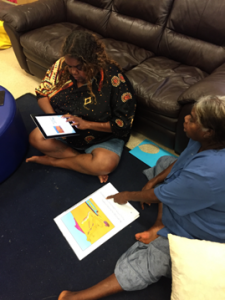 Their response was overwhelmingly positive; people were excited about having access to the resources and were relieved that these precious stories were being preserved. 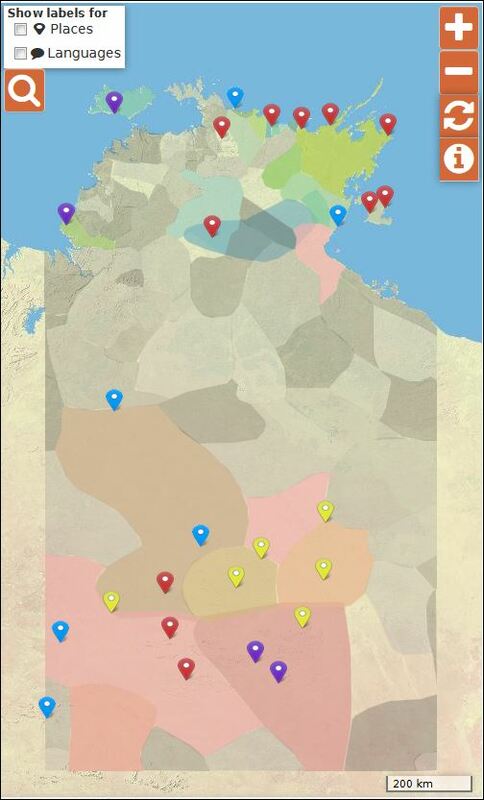 I met with people from many different groups in the region, including arts centres, cultural associations, health centres and training providers, covering everyone from pre-schoolers to aged care. 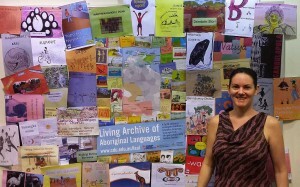 While a number of people had not heard of the archive before, many had connections with the languages and stories in the archive, or even with the authors and illustrators of the materials on the site. 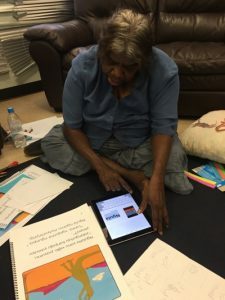 Their minds were buzzing with innovative ways to use the books with their clients in their programs, and they were inspired to find or create more materials to add to the archive. Some made suggestions about improvements to the website, or recommended other people to contact, and we hope they’ll also be telling their friends and colleagues about the site. 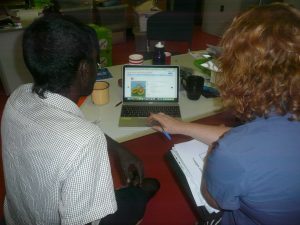 Participants at the NT Library’s RIPIA workshop were also introduced to the archive by Trevor van Weeren, who encouraged them to engage with the materials in innovative ways, such as recording audio, creating video or animation, or adding information about the materials in there, such as English translations, or the names of people involved in creating these books. Since this second stage of the project is all about engaging people with the materials in the archive, I can’t wait to see what comes of these fantastic connections. With all the exciting new partnerships discussed and great ideas and new possibilities shared, we’re very keen to follow up and help people make these ideas a reality. 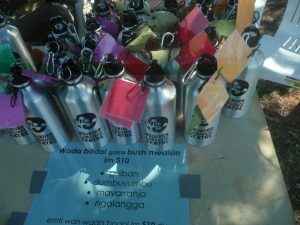 This entry was posted in Activities and tagged community, engagement, Katherine, RIPIA, school on May 14, 2014 by Cathy Bow.